To ensure a swifter and smoother hearing of the January 13 case, Vilnius County Court has decided to appoint substitute lawyers for all defendants with state-provided lawyers. 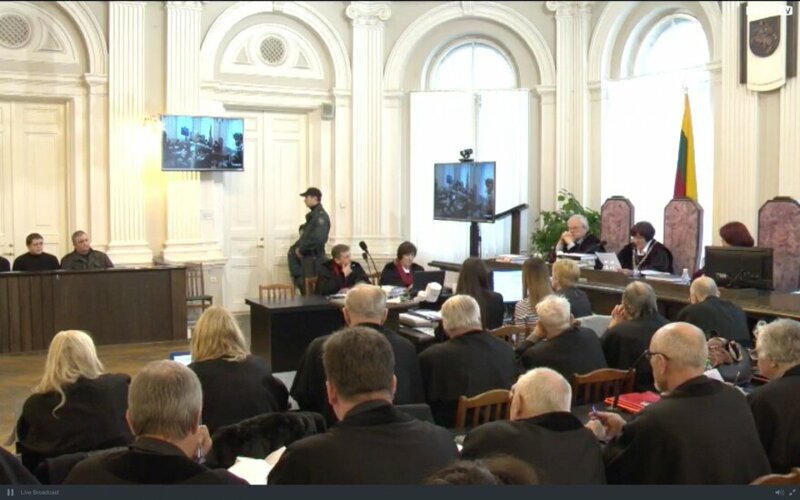 During a hearing on Monday, judge Ainora Kornelija Macevičienė said that the State-Guaranteed Legal Aid Service had been informed of the court's decision. The list of new lawyers involved in this case should be presented by March 10. According to the judge, the need for more lawyers arose after the court was not able to continue hearing the case on Feb. 23 after one of the defense lawyers fell ill, and two hearings had to be cancelled. Now, in such cases, absent lawyers will have substitutes. There are over 60 defendants in the January 13, 1991 massacre case. During the Monday hearing, the court continued reading defendants' testimonies given soon after the January 13 events in 1991.